Although some White House officials are playing down the likelihood of the meeting producing a positive outcome, Trump appears to have toned down his intransigence and cracked the door open to a possible deal. As U.S. President Trump and China’s President Xi are preparing to meet on the sidelines of the G20 Summit in early December in Argentina, a glimmer of hope has emerged for the two leaders reaching a compromise over the tariff issue. Although some White House officials are playing down the likelihood of the meeting producing a positive outcome, Trump appears to have toned down his intransigence and cracked the door open to a possible deal. Referring to his warning about the possibility of extending the tariffs to all Chinese imports, he said that the U.S. “may not have to do that” underlining China’s willingness to negotiate. Beijing’s initiative of submitting to Washington a long list of issues it is willing to resolve has cleared the way to dialogue. 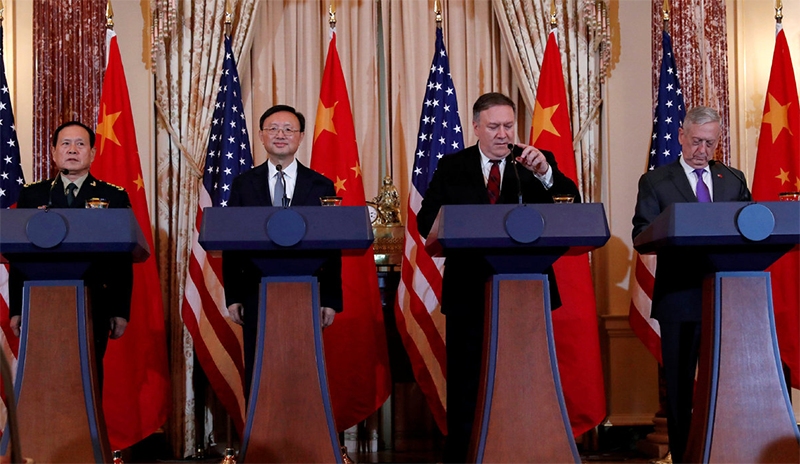 Even if the American President has pointed out that there are “four or five big things left off” the list, he also said he was confident that they would be addressed in any deal struck with China. Beijing’s initiative of submitting to Washington a long list of issues it is willing to resolve has cleared the way to dialogue. Meanwhile, four months after the introduction of tariffs, there are no signs that the U.S. $375 billion trade deficit with China is decreasing. On the contrary it has widened reaching in September a seven-month high as imports expanded and the trade gap with China hit a record monthly figure of $54 billion. But official data does not show the real picture as they do not take into account the sales of goods and services in China by American multinational corporations. Apple and General Motors, for instance, sell their products to Chinese consumers via their Chinese and overseas subsidiaries and not through exports. A study by Deutsche Bank found that, allowing for the volume of business done in China by Chinese and overseas subsidiaries of American companies, in 2015 the United States sold $372 billion of goods and services to China, while China sold $403 billion to the United States. In real terms, the U.S. trade deficit was $31 billion, i.e. less than a tenth of the $367 billion officially assessed by the U.S. administration for that year. The same study indicates that, if the trade war does not continue, as of next year the U.S. would start registering a surplus. Hence, there is little basis for the U.S. imposing tariffs on goods imported from China were it not for other points of contention allegedly damaging the U.S. interests in China. These points essentially are China’s protection of State-owned enterprises and local content and technology-transfer requirements which, according to Washington, violates intellectual property rights. There are reasons for China being cautious in removing these policies altogether. The role of State-owned enterprises in balancing the private and the public economies has been crucial in ensuring a stable and sustained growth, and in lifting 800 million people out of poverty since the start of the economic reforms 40 years ago. In fact, China’s industrial practices echo those pursued by many countries including the U.S. which, according to statistics from the World Trade Organisation, OECD and the United Nations, sits at the top of the list of the local content requirement league table with 23 measures in place, 20 of them related to government procurement. In China local content requirements apply to a number of domestic manufacturing and do not impose a comprehensive form of technology transfer. Foreign manufacturers can meet the local content requirements by developing a Chinese manufacturing base without necessarily involving Chinese-owned firms and consequently can maintain control over key intellectual property and technical know-how. 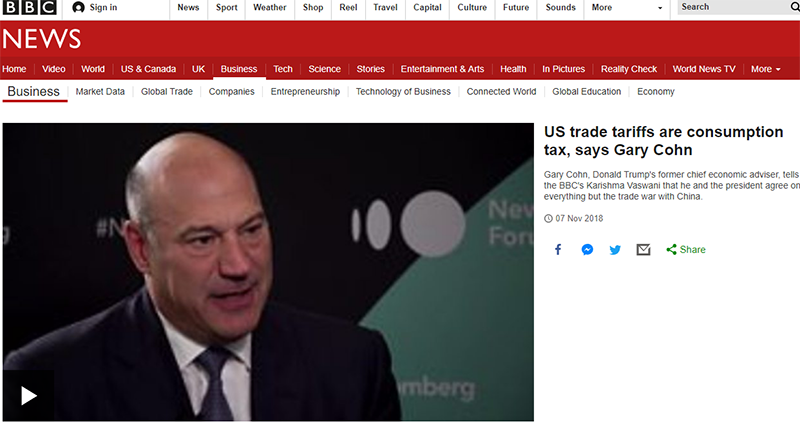 Gary Cohn said that the U.S. trade war with China will simply hurt the back pocket of many American consumers – which will in turn hurt the US economy. Several American economists agree that tariffs are detrimental rather than beneficial for the US economy. Trump’s former chief economic adviser, Gary Cohn, who resigned last March on account of his opposition to the introduction of tariffs, recently described them as akin to a consumption tax. In an interview with BBC, he said that the U.S. trade war with China will simply hurt the back pocket of many American consumers – which will in turn hurt the US economy. 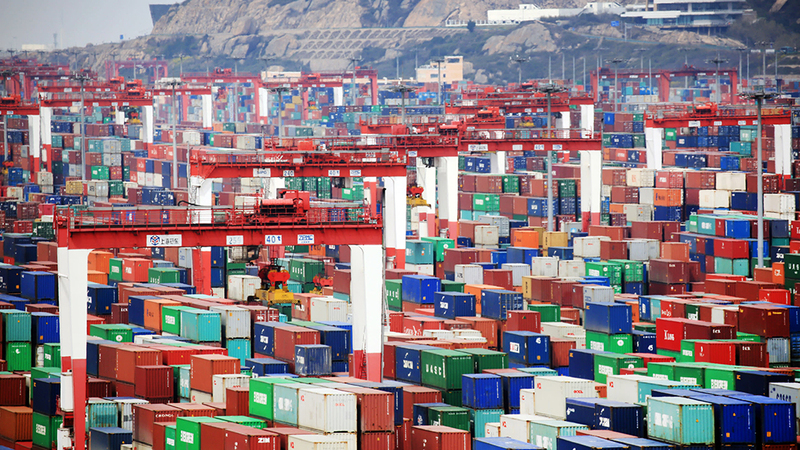 China, for its part, maintains its active support for free trade and global economic development. 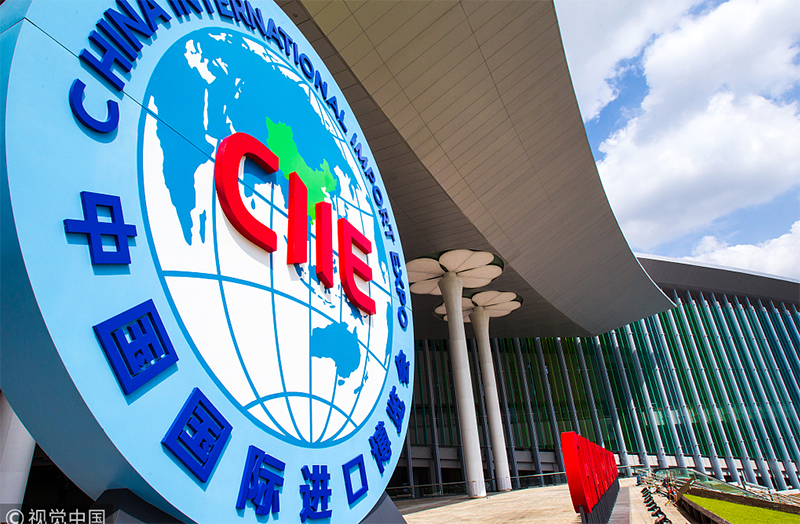 China International Import Expo (CIIE), held recently in Shanghai, was a big success registering the participation of 172 countries and more than 3,600 enterprises from around the world. The six-day multi-sector trade show for imported products was a clear indication that China is ready to share the prosperity it has achieved since opening its economy to international trade and investment, by becoming a major – if not the major – consumer of the world’s goods. Speaking at the CIIE opening ceremony, President Xi reaffirmed his country’s commitment to the principles of global economic liberalization and win-win international cooperation. He reassured the vast number of foreign delegations that China’s growth remains stable with favourable conditions for long-term development and that China will continue moving forward towards a new era of a shared future and common prosperity. Elenoire Laudieri is a Sinologist, she is the Chief Analyst on Chinese Affairs at Nato College Foundation and a foreign affairs writer for international magazines and publications.